Nestled behind the privacy of a tall garden wall and wood entry gate, this home for sale just outside of downtown Ojai is a surprisingly tranquil retreat for being so close to town. Although you can walk or ride your bike to the farmers market, fine dining and the boutiques found in the Arcade, stepping into the front courtyard is like escaping to a private oasis. A brick walkway curves through the courtyard past mature landscaping, a patio seating area, a fountain and a fire pit to deliver you to the front door. Inside, you step into the main living area with a vaulted, exposed beam ceiling, over-sized windows, skylights, a wood-burning stove and wood floor. Just off the living room, you find the dining area and kitchen, which has a door leading to a side patio and the two-car garage. The guest wing is located on the opposite side of the living room, and this is where you will find two guest rooms with large closets, ceiling fans and wood floors. The guest rooms are located on either side of the bathroom, which has a tile floor, counter and bathtub surround. Separate from the guest rooms and through double doors off the living room, you will find the spacious master bedroom, which has two large closets, a door leading to a private patio with plenty of room for seating, and over-sized, wood sliding glass doors that lead to a wood deck with a pergola that is perfect for entertaining or simply enjoying your morning coffee looking out over the mature landscaping and roses in your backyard. A gravel guest parking area, RV parking, fruit trees and mountain views from the courtyard are additional features that make this rare find in the East End a great place to call home. 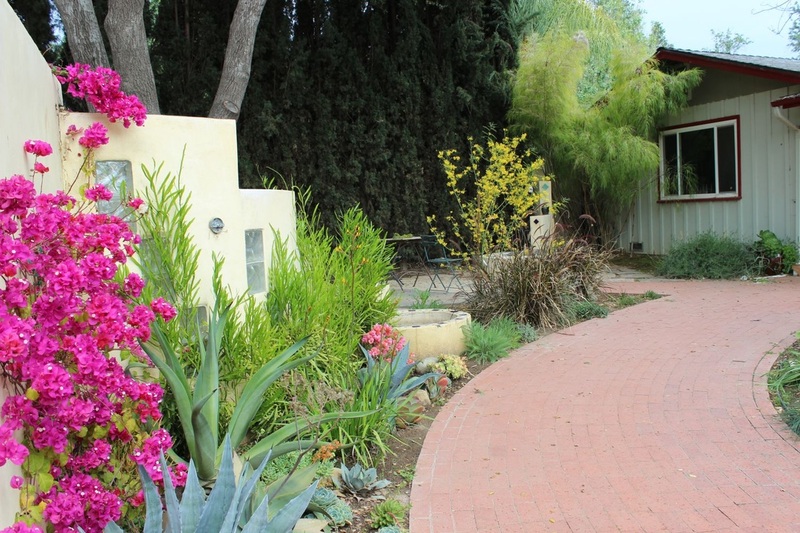 Contact Nora for more information on this home in Ojai for sale.